Organic vegetables will spring forth from the soil in a less-than-bucolic part of London as part of a new micro-allotment scheme being launched early next month. 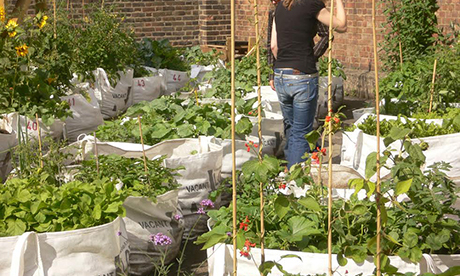 Vacant plots of land on Chart Street, Hoxton, will be dished out to budding gardeners at an open day event on 1 March between 11am and 5pm at Vacant Lot Site 1, opposite Touchard House on Chart Street. 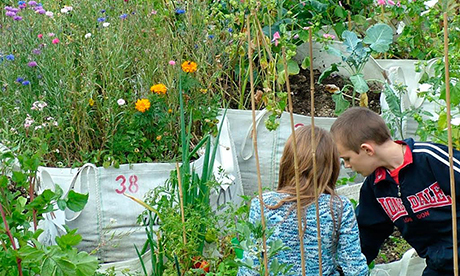 The Hoxton micro-allotments offer residents “a practical solution to ever increasing food costs”, according to a press release sent out by organisers Vacant Lot Garden. They are the latest example of burgeoning interest in community gardens across the capital – a movement that mirrors similar developments in cities like New York, where many vacant patches of inner city land have been reclaimed for use as gardens. When the Chart Street allotment first opened in 2007 organisers were inundated with requests and had year long waiting list for spaces. Since then there has been a slight decrease in interest, which is why lots are now becoming available. Micro-allotments cost £12 a year, which covers basic maintenance and keys. Courses on how to grow organic vegetables are being run throughout the year. The first of these will take place at Chart Street on 29 March from 11am to 4pm. The courses costs £3 and are free for those with allotments.